On Google+, click on settings, then find the link that says « switch to classic Google+. 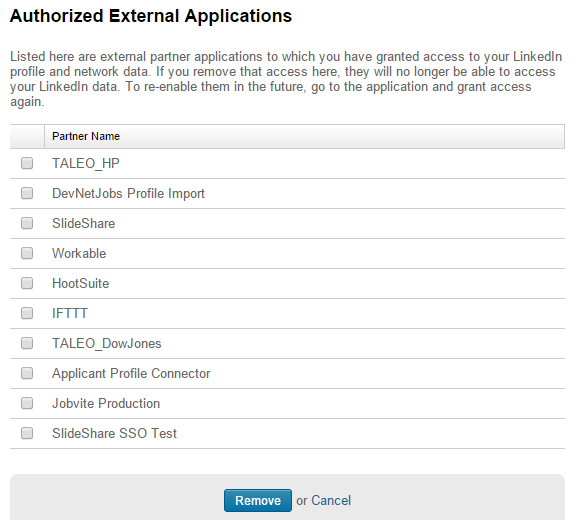 » For some reason, app permissions are missing from the newer version. Now scroll down to « manage apps & activity » and click the link that says « Manage apps and +1’s on posts. » Here you’ll find a list of apps logged in with Google+. Some may have a status saying they are disconnected, which means you’ve either deleted the app or it no longer exists. Hit edit to see visibility and disconnect apps. If you just want to change the permissions, i.e. who can view it, you must disconnect the app then reconnect it in the app itself. For LinkedIn, click on your photo in the top right corner and hit « Manage » next to « Privacy and Settings. » Next click on the tab that says « Groups, Companies, and Applications. » There you will find a link that reads « View your applications. » Like Google+, LinkedIn only gives you the option to remove apps, not edit permissions, and you can’t even see what the listed apps are capable of viewing. Check the ones you don’t want or use anymore and hit the Remove button. The standard authorization for Google Plus includes a much smaller list of permissions than Facebook: public profile, age range, circled people (friend’s list), and the ability to read and write to the user’s public feed. That last one is probably the most disconcerting because, if you’re like me, you don’t check your Google+ feed that often. 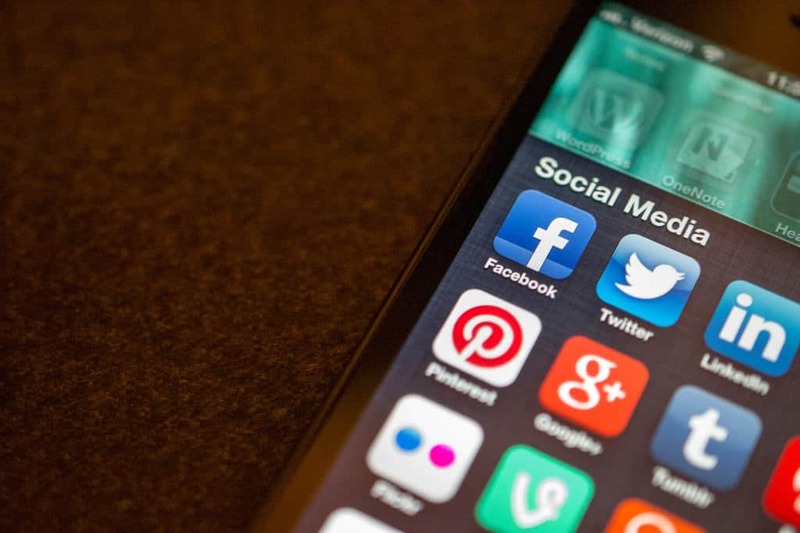 Apps could be posting behind your back. Developers can also request further permissions in larger « scopes, » such as email addresses, Gmail contacts, and Google Calendar. Google recently added Facebook-like flexibility for users to pick and choose permissions when authorizing a new app. Facebook puts apps that require most permissions through a review process, which will prevent most developers from abusing user data. 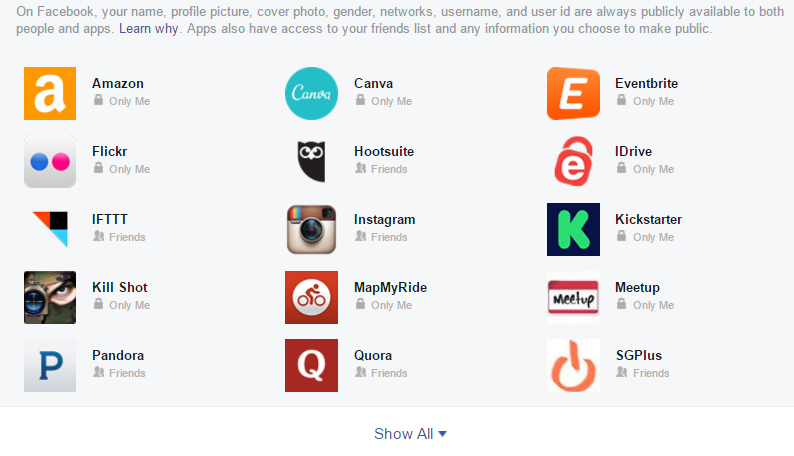 Facebook also offers the highest level of granularity when it comes to customizing permissions and privacy. The other side of that coin is that most users don’t delve too deep into their Facebook security settings. It’s easy to set your profile to « just friends » and think your safe, but actually locking down an account requires a bit more digging than that. You must also consider that the average user will post more private (and I use that word lightly) information on Facebook than other social networks, so in cases of abuse, much more is at risk despite the great controls and stern policies for developers. Note that Facebook has been criticized in the past for making unannounced changes that undo previous protections, so keep an eye out. 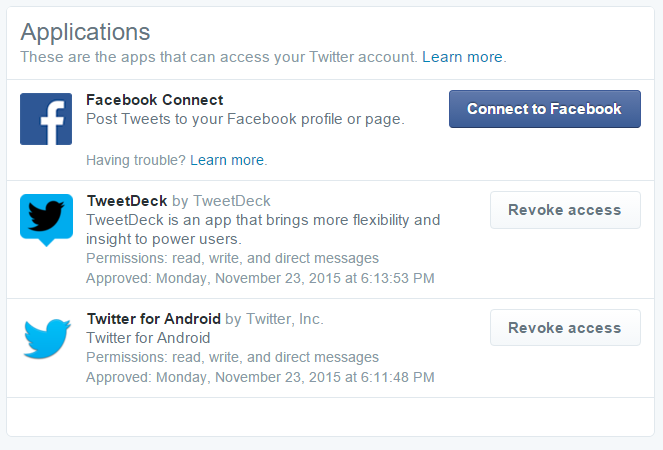 Twitter doesn’t have the granularity of Facebook controls or strict requirements for developers like LinkedIn. Then again, there’s nothing much to hide on Twitter. Anyone can see almost anything on your Twitter account just by signing up, so there’s not much more data an app can glean from you logging in with Twitter–it just makes it easier. This « nothing to lose » asset makes Twitter my personal preference for social logins, but it’s not as widely used as Facebook and Google+.